Learn how to colour hair with French colourist and Aveda Advanced Artistic Director and Master Educator, Bruno Elorrioroz. Aveda’s Artistic Director and educator based in London, Bruno Elorrioroz has spent over 25 years in hairdressing, kicking off his colour career with L’Oreal and Carita, before working as a session colourist. He moved to London to join Aveda and spent the last 20 years working closely with Antoinette Beenders representing the company at shows and presentations around the world and contributing to Aveda’s many collections. He spends much of his time on the set of editorial shoots for many magazines and bringing his colour vision to haircuts from some of the greatest editorial and session stylists. Bruno continues to teach at the Aveda Institute and travels teaching around Europe at many locations. He still likes to spend time on the salon floor, staying ahead of trends and maintaining his understanding of the challenges faced by colourists in the commercial environment. Bruno says, “Fashion, art and birds are a great source of inspiration for me. I always challenge myself to improve all the time. I believe that change is good thing to motivate yourself and the opportunities to be creative with hair colouring is limitless. 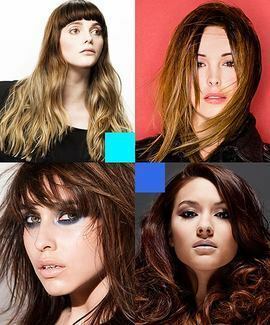 This online hairdressing course for colourists explores a variety of ombre, dip-dye and balayage techniques to create the current hair colour trends for blended and contrating tones throughout the lengths of the hair. 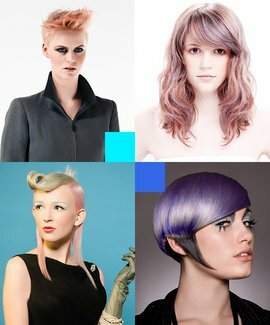 Featuring video tutorials from Madeleine Murphy, Colour Director of London’s Ena Salon, former Vidal Sassoon educator and Saco Colour Director Charmaine Piche and Artistic Director of Aveda London Bruno Elorrioroz, the course provides a diverse selection of techniques that all colour technicians need to know to stay on trend. On completion you can download, print and share a CPD Certificate of Recognition endorsed by VTCT and ITEC.